Last week’s post on the spooky dimensions of reading—the one-on-one encounter, in the silent places of the mind, with another person’s thinking—sparked a lively discussion on the comments page, and no shortage of interesting questions. One of the points that was brought up repeatedly, though, focused on one of the points that I didn’t address at all last week: how do you choose things to read that are worth sustained attention? To borrow the dietary metaphor I used in that post, how do you tell the difference between literary snack food and the kind of robust meat-and-potatoes meal that provides the mental nourishment you need for a hard day’s thinking? For that matter, how do you distinguish between either of these and the kind of fussy gourmet fare that’s great for special occasions but not really suited for the everyday table? These are valid questions. It’s important, however, not to approach them through the kind of misplaced moral fixations that so many people load on their food choices. Literary snack food has its place. Every person I’ve ever met who’s into serious reading also has a preferred brand of popcorn reading—something light and tasty to munch at intervals between solid literary meals—and there’s nothing wrong with that, any more than there’s anything wrong with popping a pan of popcorn as part of a pleasant evening at home. In the same way, how often you like to push the boundaries of your literary palate with exotic fare is up to you. With books as with meals, there’s a complex balance to be struck between general principles and individual needs. It’s true that, with books as with meals, no two people thrive on exactly the same fare, and the range of variation in what constitutes a healthy diet is a great deal wider than professional busybodies like to admit. It’s equally true, though, that a steady intake of literary junk food, unleavened by more nourishing fare, has about the same effect on your thoughts that a steady diet of junk food would have on your physical health. I’ve come to think, for example, that a very large fraction of the misunderstandings that mess up interactions between men and women in America these days come about because of the popularity of certain kinds of gender-specific popcorn reading. The male characters in the genres of snack fiction marketed to women are just as bizarrely unrealistic as the female characters in the genres of snack fiction marketed to men, and for the same reasons; unless you’ve got fairly refined tastes, having your choice of beefcake or cheesecake going through the motions of being completely devoted to fulfilling your own gender’s emotional and sexual needs gets a predictable reaction. Balanced by something more meaningful, this isn’t too harmful; on the other hand, if the thoughts you send whispering through your mind rehash those stereotypes over and over again, without any more realistic image getting a word in edgewise, those images are going to shape the way you think, and thus the way you try to relate to people in the real world. This kind of problem arises routinely whenever a society fulfills two criteria. The first is that it’s complex enough to have different subcultures, divided by gender, ethnicity, class, or any other factor. The second is that it has a rich enough literary culture that members of subculture A have next to no reading material in common with subculture B. Mutual incomprehension is the usual result. Fortunately, as it happens, there’s a straightforward way around this problem. It seems to have been discovered more or less independently in every society that’s developed widespread literacy and a thriving literary culture; it takes a central role in education in most such societies, with very good effects on the level of general education; and in the eyes of educators here in the United States, at least, it’s somewhere on the spectrum between unthinkable and blasphemous. That is to say, the way to avoid mutual incomprehension is to have a canon. A canon, in this sense of the word, is a collection of works by dead people that everyone reads, discusses, and thinks about in the course of their schooling. There are three characteristics of a canon that deserve attention here. First, it’s always changing, as each generation wrestles with the legacies of the past and decides which works by the recently dead should go into the canon, which neglected works by older authors should be added to it, and which existing works in the canon don’t deserve their status and can be dropped with advantage. Who makes these decisions? Millions of readers deciding what books they’re going to keep on their shelves, and tens of thousands of teachers, authors, and literary critics who bicker incessantly about which books have value and which ones don’t. This leads to the second characteristic of a canon, which is that it’s always contested. In any canon there are certain works that everyone, or nearly everyone, agrees on, certain others that are less unanimously included, and a fringe of works that this or that subculture of fans consider to be canon fodder and everybody else dismisses. This allows the canon to shape itself, and reshape itself, as an organic expression of the experience of a community. Finally, a canon is always unfair. There are always deserving books that don’t make it into the canon, and undeserving ones that do. Factors other than literary merit and relevance have their inevitable roles, too, ranging from ethnic, gender, and class prejudice all the way to temporary vagaries of cultural taste that make the appeal of this or that literary gimmick irresistible for a while, and incomprehensible thereafter. Now of course the inevitable unfairness of a canon is one of the standard points raised by those who insist that having a canon is a Bad Thing, and that canons of literature should therefore be abolished. Pay attention, though, to what inevitably happens thereafter. Just as the attempt to abolish hierarchies (as seen, for example, in consensus politics) simply establishes a new, covert hierarchy that’s unaccountable because it’s unacknowledged, when a subculture set out to abolish a canon, the result is simply a new canon specific to that subculture that nobody will admit is a canon, and that therefore can’t be challenged and critiqued the way an explicit canon can. Those of my readers who’ve watched the vagaries of the social justice movement in the universities or in the literary world know this song well enough to sing the verses in their sleep. So a canon is always changing, always contested, and always unfair. None of these things keeps it from doing its job, which is that of providing a basis for shared understanding in a society diverse enough to require that. Here in the United States, we don’t currently have a canon shared across our competing subcultures, which is an important reason why so few people in this country can communicate with one another across the boundaries of class, gender, and ethnicity. Each of our subcultures has its own implicit canon of Things You Ought To Read, and the predictable attempts to force one subcultural canon on others—for example, the efforts of social justice activists in the universities to bully everyone into acceptingtheir own notions of justice and their own preferences in literature—simply provide further proof for Newton’s law that every action yields an equal and opposite reaction. The current bickering between the political correctness of the left and the patriotic correctness of the right is a familiar phenomenon in cultural history. To judge by previous specimens of the type, we’ve got another few decades before both sides make their way into history’s dustbin, and a new centrism emerges to become the basis of the next round of squabbles over the politics of culture. While we’re waiting for that to happen, though, there’s a point to talking about why a canon is a good idea, and what might go into one when we get around to having one again. One of the great advantages of having a canon is that it makes it a lot easier to filter out trash. Even in the most brilliant of literary cultures, a century might see a dozen genuine masterworks and a couple of hundred really good pieces of writing. The rest—all the immense outpouring of novels, stories, essays, poems, and other things to read that come before the eyes of the reading public during a century’s time—are also-rans, ranging in quality from mediocre to dismal to hilariously bad. Mark Twain once did the world a favor by exhuming one of these last, an otherwise forgotten mid-19th century American novel, The Enemy Conquered; or, Love Triumphant by Samuel Watson Royston. Twain’s essay, “A Cure for the Blues,” is uproariously funny, and Royston’s tale read through Twain’s eyes is nearly as much so; still, such cases are rare. Most of the also-rans are forgotten within a generation or so, and let’s be frank. In most cases, this is exactly what they deserve. No doubt some of my readers will take umbrage at this claim. Have there been great works of literature that nobody recognized as masterpieces at the time, until they were hauled back up out of obscurity at a later date? Of course. That’s one of the reasons that it’s important that a canon be always changing and always contested. A hundred and fifty years ago, for example, Jane Austen’s novels were dismissed by most serious literary critics as what we’d now call “chick lit;” now, with a century and a half of additional perspective, any history of the English novel that didn’t give them a central place would be laughed out of the academy. At the same time, it’s worth recalling that there were hundreds of other enterprising writers of romantic fiction in Austen’s time, whose works weren’t revived, and a good thing, too. You can find their novels in online archives of old books if you want, and I dare you to read them without either dozing off or spraying the beverage of your choice across your computer screen. Many of them were wildly popular during their time, as popular as Twilight or Fifty Shades of Grey were in ours. All of them slipped into merciful oblivion once the fad for their kind of fiction was over, just as Twilight and Fifty Shades of Grey will in their turn. Most of what’s published in any given year deserves the same fate, and will get it in due time. One of the great advantages of a canon, in turn, is that over time it fairly reliably scoops up the Jane Austens of the past and leaves the Samuel Watson Roystons in the obscurity that they deserve. This, I’ve come to believe, is one of the reasons why canons are so heartily loathed by academics in the United States today. Put yourself in their shoes, and you can easily see why. Let’s suppose, dear reader, that you happen to be an associate professor of English at a third-rate American university who writes stories for the kind of little magazines that have a circulation in three figures and pay only in copies. By the law of averages, if for no other reason, your chances of having any of your own work become part of the canon a century from now are right up there with those of the proverbial snowball in Beelzebub’s back yard. What’s more, if you’re expected to teach students about the genuinely great authors of English literature, you risk having your nose rubbed every single class session in the difference between what those authors were able to do with the English language and what you can do with the same set of tools. Under these circumstances, a certain degree of bitter jealousy and even actual hatred can readily be understood. The tender feelings of English professors, however, aren’t necessarily the best guide to literature, or to a viable education. That’s another thing to keep in mind about a canon. Having a list of books that everyone more or less agrees that young people should read in school doesn’t just provide a common ground of ideas that fosters communication; it doesn’t just help budding readers find really good books to read; it also teaches them how to think. How to think, please note—not what to think. The difference between these two phrases is much vaster than is usually recognized. To teach someone how to think is to educate them in the workings of thought, so that they can then consider the questions that matter to them and come up with their own answers. To teach someone what to think is to prescribe the answers they will come up with. American education these days is obsessed with teaching students what to think, with forcing them to give the right answers. Since independence of thought interferes with this goal, teaching students what to think ends up teaching them not to think—to parrot the prescribed answers they’ve been taught, as mindlessly as possible, so that they won’t be at risk of doing any original thinking and coming up with an unapproved answer. How does a canon teach people how to think? Recall the spooky side of silent reading, the way that it allows you to listen in on the private thoughts of the author. While you read, your mind is following unfamiliar pathways, stringing together concepts and mental imagery in a way you wouldn’t have done on your own. If you just read through a book once, unless it has an unusually strong impact on you, the experience of following another person’s thoughts won’t affect your thinking much. On the other hand, if you read it repeatedly, discuss it with others, and think about what you’ve read—all the things that ought to be part of studying a book in school—you have the chance to add its style of thinking to the repertoire of your own mind, to expand the kinds of thinking you know how to do. Some books have this as their primary objective. Euclid’s Elements of Geometry is designed with a great deal of practical skill to teach a certain kind of logical thought, and if you work through it step by step, doing each of the proofs yourself, that style of thought will become a permanent addition to your mental toolkit. Philosophers from Plato to Sartre have aimed at the same goal, and a good many of them reached it. Other books achieve the same effect very nearly by accident. As far as anyone knows, Jane Austen’s goal in writing her novels was simply to tell an enjoyable and moving tale, but you can’t spend a couple of hours inside her thoughts without picking up some of what it means to look at the world from her perspective—a perspective very different from the ones most of us favor these days. We’ll be talking in the near future about the way that this gives access to the thoughts of the past, and thus provides the one effective cure for the cultural senility that afflicts American society these days. That deserves its own lengthy discussion, though, because it requires attention to the spectacular falsifications of the past common on both sides of the spectrum of cultural politics these days. For the present, let’s move on to the practical dimension of this week’s post. We don’t have a canon in today’s America. We lack a shared cultural memory embodied in a set of books—however changing, contested, and unfair—that most of us read, discussed, and thought about while we were growing up, and that provide us with a common ground for conversation and a training in diverse ways of thinking about the world. A canon in this sense won’t reappear until the culture wars of the present day have gone the way of their equivalents in past eras, and a rising generation rejects both sides of the current impasse and establishes a new and, hopefully, saner middle ground. In the meantime, though, each of us has the power to choose whatever reading material we want to take in during our spare time, and those of my readers who are raising children have some influence over what they read. It’s worth discussing how that considerable freedom might be put to good use. As noted toward the beginning of this post, there’s nothing to be gained by approaching the question through the kind of thick moral haze that surrounds food choices in today’s popular culture. Popcorn reading has its place, so does individual taste, and in the rising spiral of turmoil and conflict that increasingly defines life in today’s America, the literary equivalent of comfort food is a necessary resource for a great many of us just now. That said, I’d like to suggest three options to keep in mind the next time you’re not sure what you’re going to read next. The first is to read things that were written before you were born. I mean that quite literally. A very large part of the cultural senility I mentioned earlier arises out of the simple fact that most Americans read only recent books, and thus cut themselves off from the thoughts that shaped their own history and culture. It’s only in the stunted imaginations of the clueless that anything written earlier than last week must be stuffy and boring. Plenty of very old stories are thumping good reads; J.R.R. Tolkien’s lively prose translation of Beowulf, for example, is a better tale of swords and monsters than most of what you’ll find in the fantasy shelf of a bookstore today. The second is to find a balance between works that come out of your own cultural background and works that come from elsewhere. There’s one kind of ignorance that comes from knowing nothing about your own cultural roots, and another kind that comes from knowing those and nothing else. Beowulf, to return to that example, is the oldest surviving masterpiece of English literature; if you grew up speaking English, it’s part of your heritage, and it’s an embarrassment that so few people in the US ever get exposed to it. At the same time, the experience of reading Beowulf becomes richer still if you know your way around heroic epics from other cultures—the Epic of Gilgamesh, the Ramayana, the Odyssey, the Volsunga Saga, the Popol Vuh, and more. If you’ve got a taste for swords and monsters, you now know where to look. The third is to read things now and again that offend you. One of the ways that zealots on both sides of the political spectrum teach people not to think is to insist, first, that you should always be ready to take offense at what you read, and second, that you should not read anything that you consider offensive. That’s a great way to avoid thinking and encourage narrow-mindedness, but that’s all it is. Let go of the habit of passing instant moral judgments, approach whatever you read as something that might just teach you something new about what it means to be human, and your chance of popping yourself out your familiar mental ruts goes up sharply. All this presupposes, of course, a very different attitude toward the past, and the literary (and other) legacies of the past, than the zealots of left and right like to encourage these days. We’ll discuss that in more detail in next week’s post. In not completely unrelated news, I’m pleased to announce that a story of mine, “Walpurgis Night,” has just been published in the squamous and rugose pages of Lovecraftiana Magazine. Will it become part of the canon? Not a chance, but it’s a Lovecraftian tale with some sidelong references to the concerns of this blog, and it’s accompanied by a range of other capable tales for those who like a little eldritch horror in their literary fare. You can pick up a copy here. Teaser photo credit: Sketch of Jane Austen by her sister Cassandra. 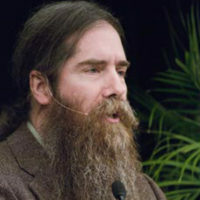 John Michael Greer is a widely read author and blogger whose work focuses on the overlaps between ecology, spirituality, and the future of industrial society. He served twelve years as Grand Archdruid of the Ancient Order of Druids in America, and currently heads the Druidical Order of the Golden Dawn. I am a farmer. I value practical, common sense. The writers on Resilience.org have earned my trust. Keep at it. 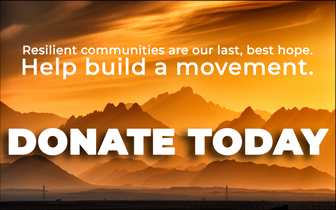 You are helping to create a sustainable future.